We started by pulling out some homemade chicken stock from the freezer. 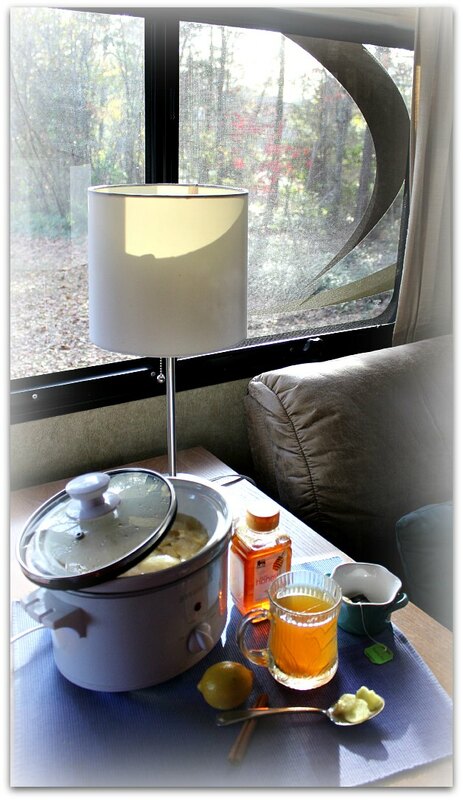 (Yes – there’s enough room in a fifth wheel trailer freezer for a few things!) Then we added an entire bulb (8+ cloves) of garlic, 2 onions, some carrots and celery to the thawed chicken stock, and let it simmer in the 6-quart crock-pot for a few hours. Add some noodles, and that was lunch. It felt good on the throat. What to drink when you’re sick? Today was different. Sniffles. Sore throat. We needed something to enhance our health! What’s good to drink when you have a cold? Hot lemon and honey, right? I looked in the cupboard, and the ‘fridge to see what else was available. Eventually I decided on adding a few more ingredients, known for their healing properties. Here’s what I ended up doing. start with just the lemon peel, and try to avoid the white pith – I used my potato peeler. Let it heat for about an hour! You can drink it just like that, but adding some honey to sweeten it is even better. 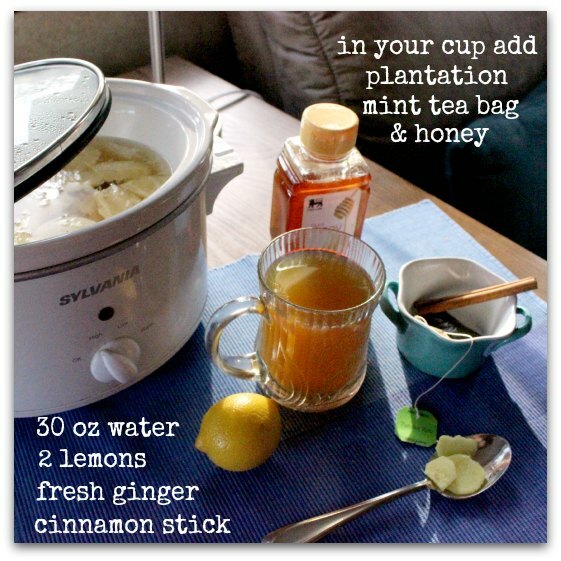 Or dress up the Lemon Ginger Crockpot Tea! Pour the hot Lemon-Ginger tea into your cup, over the teabag. 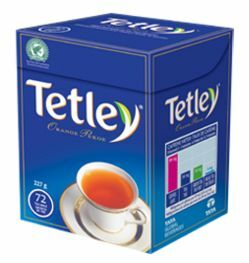 Steep the tea bag for a short bit (just a minute or so) for a zing of minty-ness! Use the cinnamon stick to stir the honey to your desired sweetness. 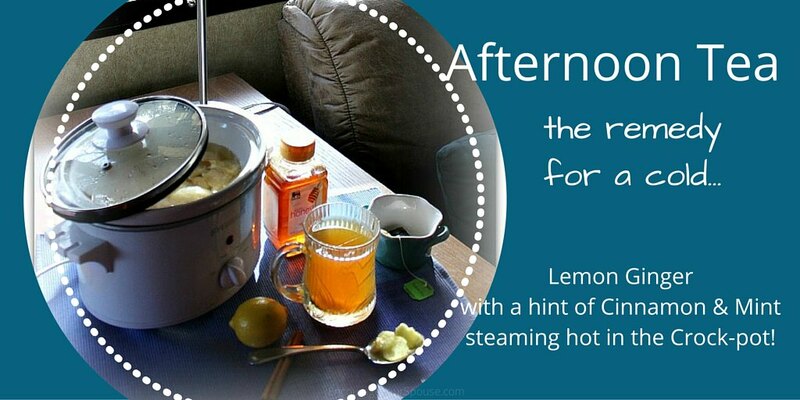 We left the crock-pot heating all afternoon, and enjoyed at least six small cups of the lemon-ginger tea. 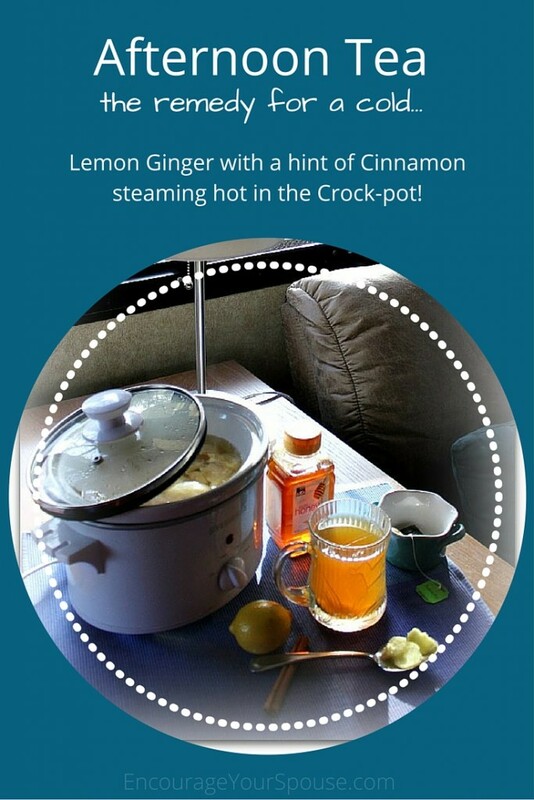 You’ll need to strain the last bit of liquid – to separate it from the lemon/ginger. It ended up tasting so good, I’m going to make this again, even if we aren’t sick! What do you drink in the afternoon?